It’s been fifty years since Betty Friedan wrote the The Feminine Mystique. How much has changed. How much remains the same. Sexism is as foundational to society as it was during the Mad Men era that drove Betty Draper and Betty Friedan mad, if you ask me. The major difference is that people don’t smoke inside, and like colors and hemlines and shag carpets, oh the styles of expression are different. Only yesterday The New York Times published a column about “pro-life feminism,” in which a man sympathetic to the anti-human rights movement bringing you comparisons of pregnant women to farm animals, bills suggesting that women raped who have abortions be prosecuted for “tampering with evidence” and men-only congressional panels comparing the availability of birth control to choosing a place to go for lunch – a man sympathetic to all of that suggested that feminism be reformed. I beg your pardon. But of course, the world has changed drastically since The Feminine Mystique, just look! Last week they said women would no longer be barred from combat, and daughters expect equality as do sons. Living up to the expectation of equality, and securing justice for those many experiences outside the realm of wealthy white men, has proved to be the continuing problem for the women’s movement to tackle. 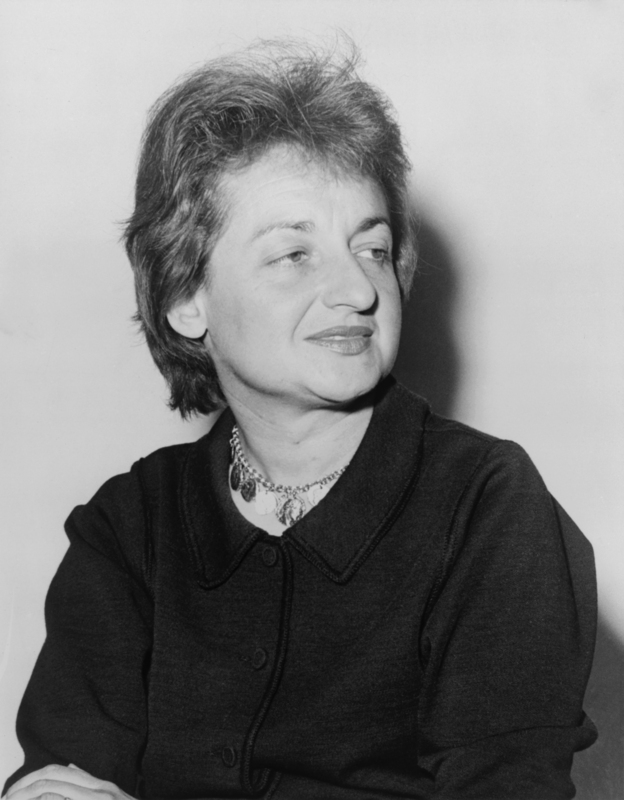 Betty Friedan and her book, to say nothing of the first organization she founded, the National Organization for Women, have had outsize impact on my life as a feminist organizer. I never knew Friedan personally, saw her across a room at a conference when I was an intern, and, you know, by then the women’s movement was so professionalized interns paid money in the form of tuition to get course credit for working free at the registration table. When she died on a weekend in February 2006, I was in the National Organization for Women office chairing a meeting of the Young Feminist Task Force. I remember leading a moment of silence and thinking to myself what a profound responsibility I was accepting then, right then, to take the leadership required to help move feminism forward in a new way. I have never lost that feeling. A few months ago, I decided taking meaningful leadership – contributing the most I have to give – meant leaving a big title in the big organization Friedan started. One of the key factors in my decision was realizing how many people, especially young people, were looking to me as an example of what was possible both in society and for their own lives. Believing in you, as I do, ultimately meant demonstrating I believe in myself and our power to create a better world. I believe it is within our power to end sexism. I also believe getting there requires taking personal, interpersonal and structural risks. It requires acknowledging uncomfortable truths and working to change them. I believe younger people should define feminism for themselves and help lead the way forward. And while I am profoundly grateful for feminism and feminists of the past, I couldn’t be prouder to set this example. This is not an end. I am only getting started. What would Friedan say about this? Honestly, I have no idea. As for me, I continue to take considerable inspiration from her legacy and The Feminine Mystique. Gail Collins, a feminist of a different generation than myself, wrote a beautiful piece on ‘The Feminine Mystique’ at 50. In it, she pointed out more often the book is commented on for what it left out (basically anyone who wasn’t an upper middle class heterosexual white woman), rather than what it was (a piercingly accurate description of the waste of women like Betty). Strangely enough, the waves of reaction in feminist thought went a bit too far in the other direction, in my opinion, when it became imperative for the incarnation of the women’s movement that followed The Feminine Mystique to speak declaratively “for all women” as if that was somehow possible to do really well. In my experience, people can speak profoundly well for themselves, and do both themselves and others a disservice when they try to speak for everyone else at the same time. You cannot homogenize diversity, nor is it wise to try. It is the diversity that is the strength. It is the diversity that is the beautiful part. In encouraging diverse people to speak and lead for themselves (and having others listen and add their experience, not to change what the speaker said, but to speak and lead for themselves in the pursuit of an equality to be achievable in common by all) we can move the needle closer to justice. Modern feminism is already doing this all over the Internet. This is my experience and I deserve to be heard. That is your experience and you deserve to be heard. I know we can do better. We can be more than this. Let’s take a risk and organize something totally new and spectacular. It is very exciting, and dare I argue, a very inclusive expression of what Betty Friedan could have helped to kick off had her slice of reality, The Feminine Mystique, been published today. Why am I crying? it is with pride. You got the memo. You figured out that you are the one you waited for. There is no one else. No phone is going to ring inviting you to be bold. The only pain suffered is seeing others looking for the memo. Give them paper and a pen. Yes, take that risk for something utterly new. That is true legacy. In his column, Ross Douthat makes reference to “mansplaining” whilst mansplaining, MIND BLOWN. Erin, OMG, it is so beautiful. My friend gave me the latest 50th edition copy and I literally had to fight back tears. When I didnt know feminism, I was introduced to The Feminine Mystique. This book means so much to me and that is where my film was born. I have so much lately told others how you worded it: “It’s been fifty years since Betty Friedan wrote the The Feminine Mystique. How much has changed. How much remains the same.” I love your perspective on this piece. So many people I talk to about this book, say it was 50 years ago, we are equal, blah, blah,blah. I am so just touched at what you wrote. I have to share.